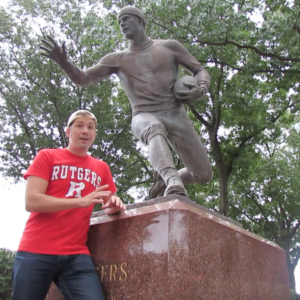 The history surrounding the Rutgers program is notable. 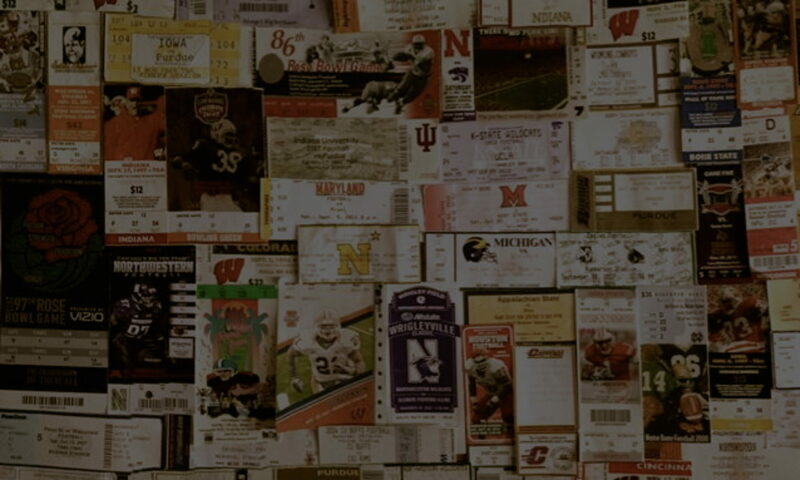 The first ever college football game took place on this campus in 1869. 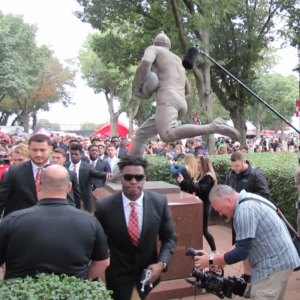 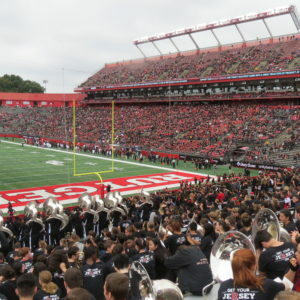 A proud and devoted bunch show up on gamedays, and while the stadium was not full for the Illinois game, the contingent that arrived made themselves heard. 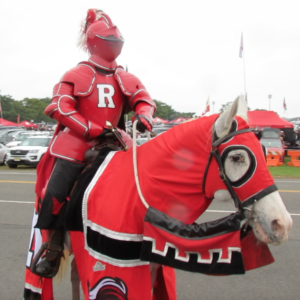 The marching band, cheerleaders, and Scarlet Knight mascot on horseback were out in full force on a gray October Saturday. 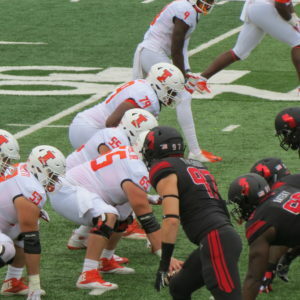 Hope for a conference victory buzzed through tailgates outside HighPoint Stadium – the Illini appeared to be their most likely opportunity. 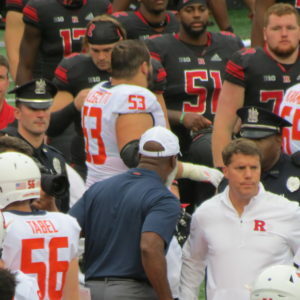 The Illini have demonstrated improvement this year, and Rutgers was the perfect team for Illinois to display its progress against. 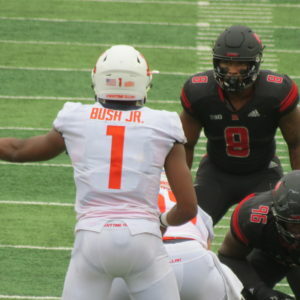 While the Knights kept it close toward the end of the first half, they just didn’t have an answer for the speed and elusiveness of quarterback AJ Bush. 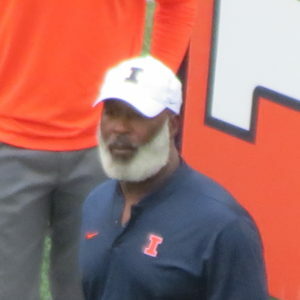 Illinois would carry away a 38-17 victory. 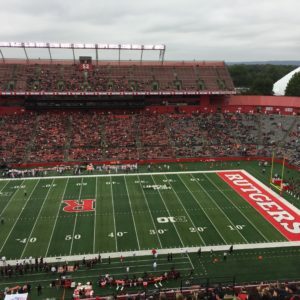 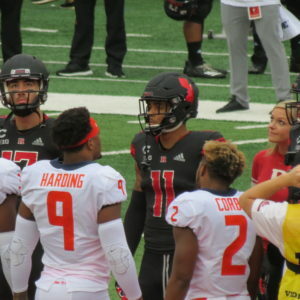 Even though Rutgers cut the deficit to ten at half, the writing was on the wall, and many fans found the exits before the third quarter began. 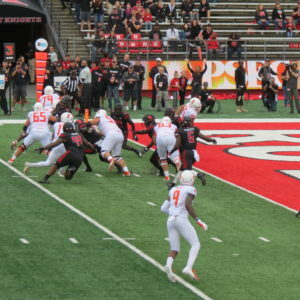 Illinois has a schedule that could get them to bowl eligibility, while Rutgers has the Big Ten East gauntlet ahead. 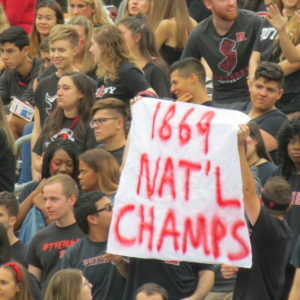 1869 is looking pretty good right now.